There were great celebrations when Conrad and Mike finally brought their distinctive outfit into the winners enclosure and parked it on the number one slot. 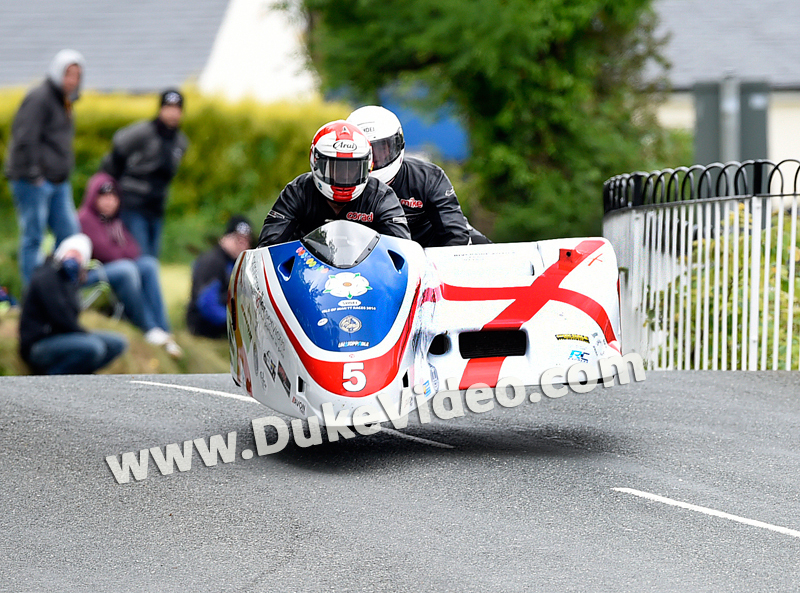 With three wheels in the air this photograph by Richard Radcliffe shows just how different a proposition the TT is to any of the short circuit sidecar races. Conrad freely admits that the Birchall brothers or Tim Reeves would leave him in their wake on any short circuit but on the Mountain Course the Bradford man and his super passenger can more than hold their own. The first of many? Time will tell.